Dave Taylor X-Factor camps offer young athletes honest instruction, sound athletic training, integral academic practices and personal development methods from some of the top coaches and motivational speakers around the globe. 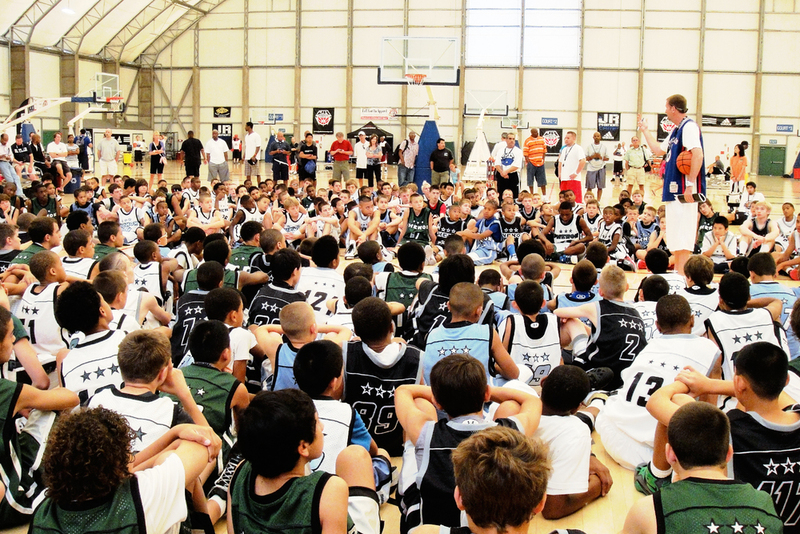 This camp is more than just basketball. It’s life training. Because let’s face it, basketball is short but life is long. And the skills learned should be applicable to both. This camp takes an educational approach harboring the athletic and intellectual growth of young athletes by making players students of the game. And with hands on instruction from Camp Director Dave Taylor, students of the camp will gain the tools necessary to excel both on the court and in the classroom. But this camp is not limited just to youth instruction, as parents will receive guidance on communicating with coaches, raising young athletes and prepping for the collegiate recruiting process. Dave Taylor’s primary focus of the X-Factor camp is on developing fundamental techniques like dribbling, rebounding, passing and shooting. Students are then exposed to situational drills and scrimmages to develop their basketball IQ by accentuating strategy and team and clock management. At the core of our mission, we strive to create a family oriented environment focused on enthusiasm and value based athletic and academic teachings.